On any given day, my skincare routine runs me 10 to 15 steps and at least 20 minutes. As someone who spends more time living out of a suitcase than my actual apartment, my regimen has become problematic. Trying to squeeze a dozen beauty products into an already-packed carry-on bag is a nearly impossible endeavor. (I cringe at the thought of how many pricey serums I’ve watched TSA agents toss into the garbage!) So naturally, I am always looking for ways to minimize my regimen into something that’s not only travel-friendly, but that won’t require me to do damage control on my breakout-ridden face for a week after returning from a trip. 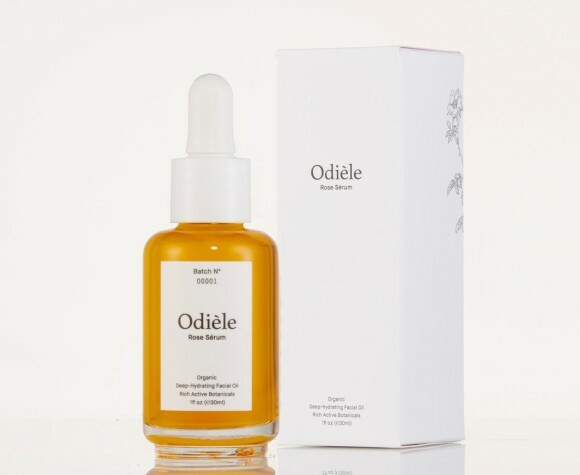 Finally, I’ve found the only product worthy of coming with me on a weekend away: The Odièle Rose Sérum® ($125). For my skin, it functions as a serum, moisturizer, facial oil, and primer simultaneously. I’m such a big fan of the formula that I’ve replaced my entire skincare routine with this one item when I travel. That means I can leave every other step of my routine safely at home while my serum and I jet around the world. (The bottle is under three ounces, so I never have to worry about TSA breaking my heart again.) That said, it’s also a staple in my daily routine. The “liquid gold” treatment is formulated with a combination of botanical oils including argan, jojoba, and primrose (which have anti-inflammatory properties), as well as rosehip and sweet almond. These are rich in Omega 3 and 6 and vitamins A, C, E to nourish and hydrate skin. "It immediately hydrates the driest of skin, helps regulate sebum production on oilier skin types, and brightens dull skin,” explains the brand’s founder Marie-Josée Leduc. “It keeps the skin’s texture smooth, promotes elasticity, and [may] help to fade scars.” The consistency is somewhere between a serum and an oil, and it deeply hydrates my skin without leaving behind any sort of a greasy film. I dab it on after cleansing my face while my skin is still damp, then start putting on my makeup. "Because of its consistency, Odièle Rose Sérum shields the skin with a protective layer so that when applying our foundation, the final look is always flawless,” Leduc explains. Per Leduc’s suggestion, I’ve also tried adding a few drops of the serum directly to my foundation, and was shocked at how smoothly it went on. Not only does Odièle’s Rose Sérum work wonders for my skin, but slathering it on has also become a quick, easy way for me to practice a little bit of self-care at the beginning and end of each day. Its rose-rosemary aroma is delicious — so much so, in fact, that multiple people have actually stopped me to tell me how good my face smells if I’ve hugged them while wearing it. Plus, it almost functions as aromatherapy: breathing in that delectable scent somehow helps to both calm me down and invigorate me at the same time. When I apply it, I take a few extra minutes to give my face a full-blown massage — and because the treatment has streamlined my routine, I have plenty of time to do so.